Toyota Motor Corp. is expanding its recall of vehicles with defective gas pedals to Europe, the Financial Times reported. “The models and exact number of potentially affected vehicles is under investigation,” the newspaper said, quoting the company's European headquarters in Brussels. Toyota said it had “no need or intention to stop production in Europe,” the report said. Separately, Japan's Yomiuri daily newspaper reported the recall will effect 2 million vehicles in Europe. 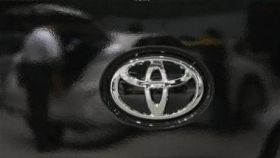 Late Tuesday, Toyota said it was suspending sales of eight U.S. models due to faulty accelerator pedal mechanisms. The sales halt will be followed by a production shutdown next week at five North American plants. The factories produce the cars and trucks that were among the 2.3 million Toyota recalled last week to fix accelerator pedals that are prone to stick.